In The Wife, Glenn Close plays Joan Castleman, the steadfast and amenable wife of celebrated novelist Joseph Castleman. But when Joe wins the Nobel Prize in Literature, things start to unravel between them. Is there more to Joan’s support than meets the eye? In this post, I consider the merits of a hypothetical intellectual property dispute between the couple, and an often-neglected right in particular. 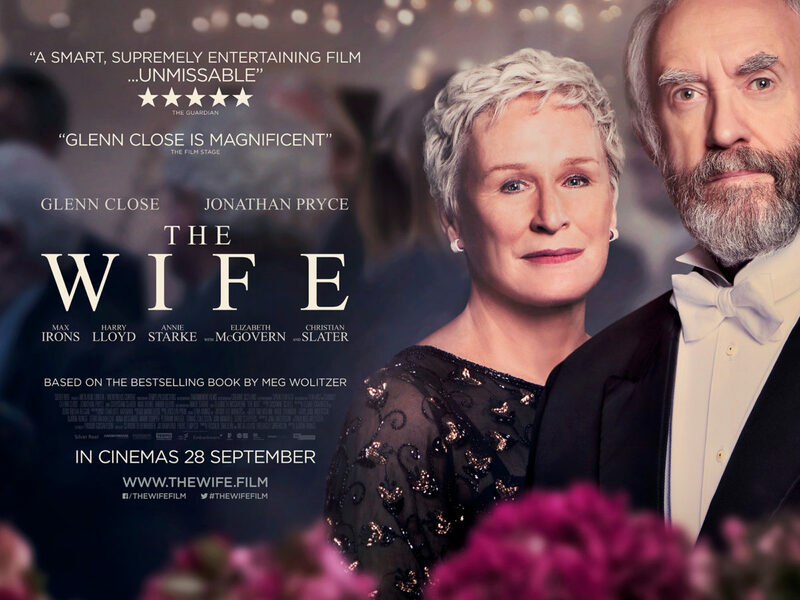 The Wife is a 2018 film from Swedish director Björn Runge, starring Glenn Close and Jonathan Pryce. The script by Jane Anderson is based on Meg Wolitzer’s novel of the same name. We first meet Joan Castleman – The Wife – the evening before her husband, celebrated novelist Joseph Castleman, wins the Nobel Prize in Literature. Praise and adoration for Joe’s prolific and highly acclaimed body of work are subsequently lavished upon him, while Joan and their two children watch on. But when the family arrives in Stockholm for the award ceremony, we begin to realise that Joe Castleman’s success rests on secrets and sacrifices. Through the use of flashbacks to the 1950s and 1960s, we learn that Joan was a promising writer. While at college, her then-professor Joe Castleman encourages her writing, and the two eventually become romantically involved. But Joe is not content with merely lecturing about novels: he seeks to prove himself in the literary world as an author himself. During a heated argument about his poorly written first attempt at a novel, Joe threatens to leave Joan. Desperate to keep him happy and aware of his deep desire for publication, Joan offers to “fix” Joe’s draft. Her amended version of The Walnut is published under Joe’s name, and becomes a literary sensation. For the next forty years, Joan continues to write as Joe gets all of the credit. In Stockholm, Joan revisits The Walnut and considers the personal sacrifices she’s made in her marriage. What makes The Wife so delicious to watch is the way in which Joan’s character transforms and gains a sense of agency. Having grown up in the sexist environs of mid-century America, Joan at first appears to have dutifully accepted her fate as an ignored, pushed-aside woman whose only roles have been “wife” and “mother.” The announcement of “Joe’s” Nobel Prize in 1996 serves as a catalyst, and through a series of small events Joan eventually gathers momentum and power – like a storm – to unleash her torrential anger. 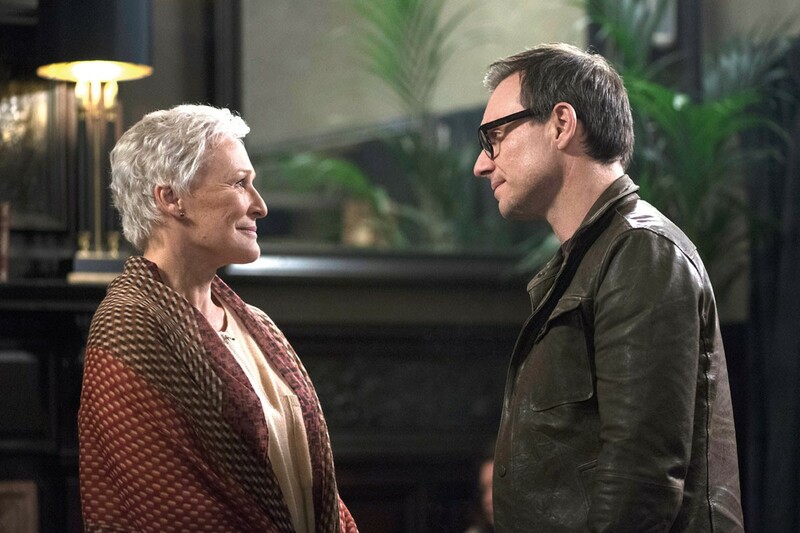 The Roger Ebert review perhaps puts it best, noting that Glenn Close’s Joan “undergoes a quietly powerful transformation from self-deprecating spouse to fiery force of nature.” The film ends on an uncertain yet quietly optimistic note, and we get the sense that Joan will reveal the truth – not only to her family, but to the public – in due course. As I left the cinema, I found myself ruminating over Joan’s legal position. As the author of the novels, would she stand a chance at winning a copyright lawsuit? Copyright arises automatically in original works of authorship fixed in a tangible medium of expression. This means that from the moment an author expresses something unique in a tangible way – for example, by writing it down using a typewriter – the author obtains an intellectual property right in the work. A young Joan (played by Glenn Close’s daughter Annie Starke) supports her husband Joe in his literary ambitions (played by Henry Lloyd). It’s pretty clear from the story that Joe did infringe Joan’s intellectual property. Unfortunately for Joan, even if she wanted to bring some sort of copyright lawsuit against her husband Joe, is is doubtful that she would win. Whereas a “negative defense” seeks to factually disprove an element of the plaintiff’s case, an “affirmative defense” defeats or mitigates the legal consequences of the defendant’s otherwise unlawful conduct. Firstly, a lawsuit for copyright infringement must typically be filed within the applicable limitation period. The US Copyright Act requires a civil lawsuit to be filed within three years after the infringing action occurred. As such, a copyright lawsuit concerning Joan’s older novels would be practically impossible. Thirdly, if Joe can prove that he infringed Joan’s copyright believing in good faith that he was entitled to do so, estoppel could apply. “Estoppel” as a term might not known by many non-lawyers, but the fundamentals are rather straightforward: a court may prevent (estop) a person from making assertions or from going back on her word, thereby preventing unconscionable conduct. While working on a definitive biography of Joe Castleman, author Nathaniel Bone (played by Christian Slater) discovers some striking discrepancies in Joe’s writing style. Nevertheless, Joan’s cause is not a hopeless one. As evidenced by Joan’s emotional attachment and identity tied to her novels, literary and artistic work often mean much more than just the economic value they can generate. The creations can be very special to the person who first produced them, and often speak to immense emotional and intellectual effort. As a result, copyright works can be protected in ways that are different to traditional forms of property. Moral rights are a type of non-economic rights which are considered personal to an author, in that they are inalienable and fundamental to the individual. Even if an author assigns the intellectual property rights to her novels to a third party, she will still maintain the moral rights to the work. (1) Independently of the author’s economic rights, and even after the transfer of the said rights, the author shall have the right to claim authorship of the work and to object to any distortion, mutilation or other modification of, or other derogatory action in relation to the said work, which would be prejudicial to his honor or reputation. Moral rights are well established in European legal systems, especially in French and German law. By contrast, moral rights in the United States have been somewhat neglected, as American law traditionally puts more significance on protecting economic interests. This has been changing in recent years however. In 2017, the US Copyright Office commenced a study to review how existing American law, including provisions found in Title 17 of the U.S. Code and other federal and state laws, protects the moral rights of attribution and integrity. The laws which govern intellectual property rights have been forced to change in the face of challenges posed by the internet, disruptive technologies and an increasingly mobile population. Might moral rights be next on the agenda for American copyright reform? For Joan Castleman at least – whose conflict focuses almost entirely upon her identity and recognition as a writer – it’s easy to see why moral rights could be so important.